Women everywhere should have the right to decide when and whether they have children. No child should be malnourished – undermining their health and future potential. Together we can wipe killer diseases like malaria and TB off the face of the planet. Liz Ditchburn, Director of Policy at the Department for International Development (DFID), and John O’Brien, Director of Safeguarding at the Home Office, write about one way the Civil Service can make a difference. Every year, the Department for International Development (DFID) takes a huge development issue and rallies a global movement for change around an international summit, at which we bring together governments, charities, businesses and activists, to agree transformative policy and funding commitments. These summits have led to significant results. At our Nutrition for Growth event last year, over 100 organisations committed to improve the nutrition of 500 million pregnant women and young children. Progress since then includes the expansion of programmes in Africa and Asia to address the immediate and underlying causes of under-nutrition, and the development of a number of new research partnerships to identify innovative solutions to this global challenge. The Bill and Melinda Gates Foundation has been a key partner in recent years. In 2012, the London Summit on Family Planning achieved ground-breaking commitments to enable 120 million more women and girls to use modern contraception. Two years on from the summit and progress has been good. We are working with Family Planning (FP) 2020 (a global partnership that supports the rights of women and girls to decide whether, when and how many children they want to have) to drive forward and monitor progress against summit commitments. FP 2020 is promoting national accountability for summit commitments by publishing progress online. 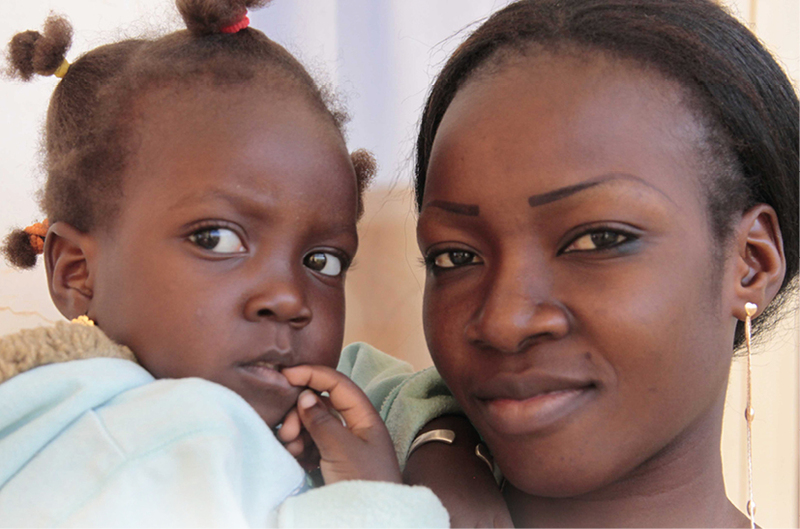 As a result of the summit, countries such as Zambia, Senegal, Burkina Faso, Niger and Kenya now have family planning action plans. An issue which captures the public’s imagination, like saving children’s lives, giving women in other countries the same opportunities we have in the UK, and helping people help themselves. A clear ‘ask’, like providing more money or resources, showing your support for change (on social media etc. ), or legislating and using your influence. The political will to take on the challenge. In the UK, this often means the active involvement of the Prime Minister. An active and engaged civil society, to help galvanise governments and support citizens. Later this month the UK will hold its first Girl Summit. This event, co- hosted with UNICEF, will mobilise global efforts to end the practices of child, early and forced marriage (CEFM) and female genital mutilation (FGM) within a generation. This year, for the first time, the event will focus on issues from both the international and the domestic perspective, because these practices are not limited to the developing world – they happen to British girls, both here and overseas. The Government recognises that we will not see an end to these practices unless we work together, stepping up our efforts both at home and partnering with other countries’ efforts overseas, to end FGM and child, early and forced marriage forever. The Prime Minister David Cameron, the Secretary of State for International Development Justine Greening and the Home Secretary Theresa May want it to be a breakthrough moment for millions of girls and women here in the UK and around the world. The Summit is being organised jointly between DFID and the Home Office, with additional involvement from other departments, including the Department of Health and the Department for Education. The Home Office and other domestic departments are working together on a cross government package of domestic announcements to be made at the summit, including significant new measures to tackle FGM and forced marriage here in the UK. The Girl Summit follows on from the Foreign and Commonwealth Office's recent Global Summit to End Sexual Violence in Conflict, the largest ever summit held on this issue. One aspect of the Global Summit was to examine the impact that sexual violence in conflict has on women and girls, and this complements the broader UK Government support for girls and women across the world. The Girl Summit issues have, in the past, been considered too difficult to tackle, or people have avoided them for the fear of being accused of racism or cultural imperialism. Millions of girls worldwide are affected by FGM and child, early and forced marriage every year, causing a lifetime of physical and mental damage. Be about changing values and behaviours, overseas and in the UK. Engage the UK public, including diaspora groups, on these issues. Sharing What Works - learning and celebrating success. Agreeing an agenda for change - securing commitments to action. In England and Wales it is estimated that over 20,000 girls under the age of 15 could be at high risk of FGM each year. FGM is a form of violence against women and girls, and one of the most extreme ways in which girls and women are controlled and disempowered. In high- prevalence countries – such as Somalia, Sudan, Egypt, Sierra Leone and Ethiopia – FGM is carried out because it is considered essential for marriage. Girls who marry young are often under pressure to have children soon after marriage. 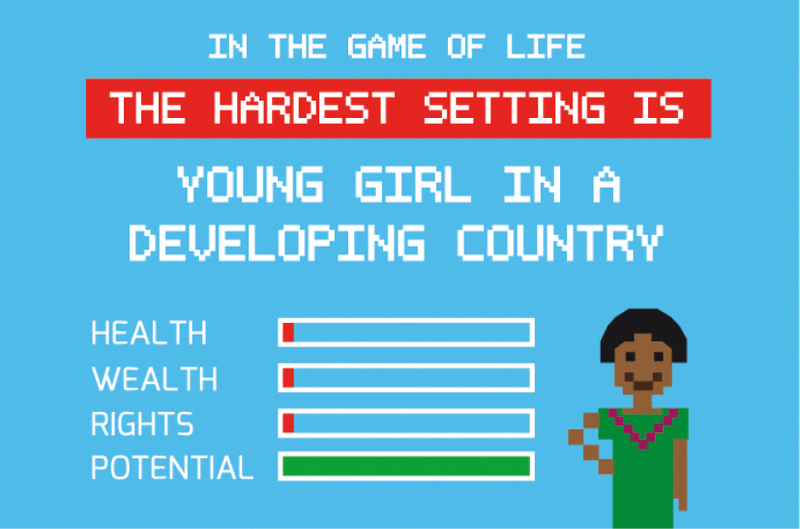 In low and middle-income countries, complications from pregnancy and childbirth are a leading cause of death among girls aged 15-19 (Early Marriages, Adolescents and Young Pregnancies, WHO 2012). Victims of forced marriage can suffer physical, psychological, emotional, financial and sexual abuse including being held unlawfully captive, and being assaulted and repeatedly raped. In 2013 in the UK the Government’s Forced Marriage Unit (a joint Foreign and Commonwealth Office and Home Office Unit) provided advice or support in 1300 cases (covering the UK and British nationals overseas), but we know that this does not reflect the full scale of the abuse, and many more cases are not reported. A High Level Event team, led by Alice Hall (Leader of the Girl Summit Team in DFID’s Policy Division), has been put together from across DFID and the Home Office to manage the event. They are working closely with our co-hosts, UNICEF, as well as the key domestic Departments including Cabinet Office and No.10. The Nike Foundation which has pioneered new approaches to girls’ development is a key partner offering strategic advice, creative input, finance and resources. The team are securing policy commitments, liaising with civil society, managing invitations and organising speakers. As well as achieving maximum value for money by securing a low-cost venue and sponsorship. It is a huge challenge to ensure that we end up with an event that is truly inspiring, runs smoothly and, most importantly, delivers real change for millions of girls and women in this country and overseas. The good news is there is a growing movement for change. In 2012, the regional grouping of African Countries at the United Nations passed a resolution calling for a global ban on FGM. In December last year, Ministers of Education and Health from 21 countries in Eastern and Southern Africa committed to eliminating child marriage by 2020, and in May 2014, the African Union (AU) announced a two-year campaign to end the practice. Last year DFID launched a programme that will work in 17 countries to support the Africa-led movement to end FGM. DFID also has a flagship programme on child, early and forced marriage in Ethiopia’s Amhara region, which focuses on engaging with the whole community to change attitudes, and will soon be scaling up this work. In Asia DFID is working in India, Bangladesh and Nepal to address some of the drivers of child marriage, including support for protective legislation, quality education and economic empowerment. We are also stepping up our efforts to end these practices here in the UK. Forcing someone to marry is now a criminal offence in England and Wales under new legislation that came into force on 16 June 2014. In February this year, to mark the International Day of Zero Tolerance to FGM, eight Government Ministers signed a joint declaration to demonstrate our ongoing commitment to end this terrible form of abuse. In addition, the Department of Health has announced that all acute hospitals will report information on the prevalence of FGM within their patient population each month; the Home Office has launched an awareness campaign aimed at mothers from communities where FGM is prevalent; and in April, the Department for Education issued updated guidance to schools that contained specific information about FGM. The Girl Summit 2014 will bring together heads of state, practitioners, survivors, charities, the diaspora and the private sector. We know from past experience that if we can build momentum around a big event like this, working with international and domestic partners, we can achieve a transformative shift. We hope everyone reading this will join in our big moment later in July to add their voice to the chorus. We have launched a social media pledge campaign where people will be able to play their part by pledging support through their Twitter or Facebook accounts. We have launched a social media pledge campaign at www.girlsummitpledge.com where people can show solidarity with those who are affected by these issues. Please add your voice and pledge your support ...tell your friends, networks and colleagues too.